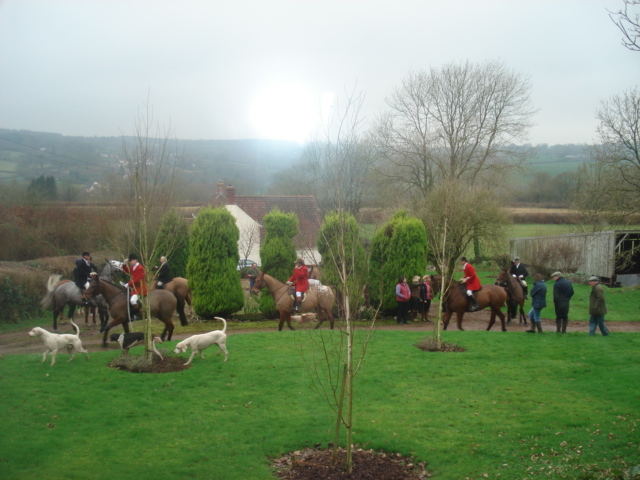 Today the hunt gathered in Buckland St Mary at the farm below us. The hunt master in his red jacket arrived with hounds in toe and other horses gathered and their owners enjoyed a tipple or two. Then the bugle sounded and they were off.